What Happens If Your Will Is Contested? Without a properly drafted and executed last will and testament in place, your property and assets are subject to the rules of intestate succession. This process goes up and down through your genealogy, distributing to your spouse first, then to children, then parents, then any siblings. While you may wish for some of these people to inherit your belongings or the profits from any financial accounts in the event of your passing, making a will helps to ensure anyone who is not a blood relative is not skipped over, and that each of the people named receives the appropriate amount. Unfortunately, even with a valid will in place, it can be disputed. Known as a will contest, it can tie up your estate for months or even years, while threatening the rights of your beneficiaries and costing them considerable amounts of money. Who Can Contest Your Will? The American Association of Retired People (AARP) states that while you may be tempted to write up a will on your own or to rely on a do-it-yourself kit to assist you, the chances of it being contested are one of many reasons why you should always go through an experienced estate planning attorney. Those people who are excluded or receive less from the will then they would have inherited under the laws of intestate succession, such as a spouse, child, parent, or sibling. Those who may have been included in a prior last will and testament but are not included in the current version, or those who assert legal standing in a claim against the deceased. 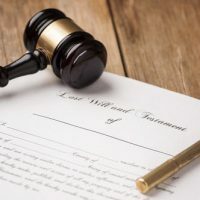 Once a will is contested, it will be up to the probate judge to decide the manner, based primarily on whether the will has been properly drafted and executed. That the person making the will lacked the mental capacity to do so. That the person was under undue influence or duress when the will was made. That the will was later revoked by the person making it. Simple errors in procedure or drafting of the will can result in it being declared invalid by the court. In guidelines established by the New York Court System, even something as simple as removing the staples from your will in order to make copies could be enough to make it invalid. To avoid legal hassles and ensure the proper beneficiaries inherit from your estate, contact our wills attorneys. At Cavallo and Cavallo, we can assist you in all your estate planning needs, ensuring the rights and interests of both you and those you love are protected.